They say that one in three have been marked for death. But marked by whom? Are the sick being punished for their sins by God? No, this foul curse is the work of the Devil and his wicked agent, the Witch. The people pray for an answer, and within the great city of London, the source of the vile plague, God may have given it. A woman has been taken prisoner by the Church after confessing the use of Witchcraft to bring the blight upon us. Three days have passed since then and during this time the heads of the church have been in consultation without rest. Today they emerged and gave their counsel. This game is great. If you like Montsegur-style psychodrama you will eat this up with a charred wooden spoon. Short video review by Epistolary Richard. In-depth podcast review by Across the Table. 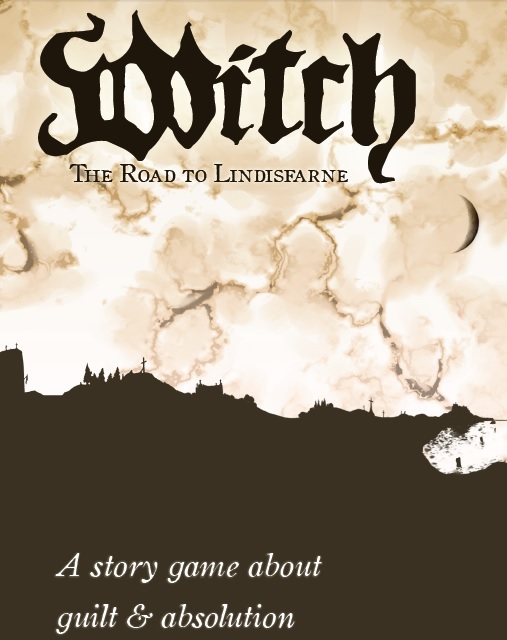 Review by Indie Rick on BGG. Review by Kate Bullock on Bluestockings. Review by Charlie Etheridge-Nunn on Who Dares Rolls.